– Shopping for mitigation credits? – Need to know how many are out there and who is selling? EASI’s Mitigation Credit Availability Report presents a new and improved summary of mitigation credit location, type & volume. The Mitigation Credit Availability Report (MCAR) presents the number, type and distribution of compensatory mitigation credits currently available in the U.S. The MCAR also helps viewers compare the business performance of nearby mitigation banks offering similar credits for sale. The MCAR draws on U.S. Army Corps of Engineers RIBITS mitigation credit data. RIBITS data has been converted to a more business-friendly presentation for the roughly 750,000 credits that have been authorized in the U.S.
A companion product, the EASI Mitigation Credit Price Report, offers sample price referrals for compensatory mitigation credits (including water quality credits) from the 1990s to present day. Together these tools work vastly improve market transparency for the rapidly growing mitigation credit marketplace. Improved transparency is especially valuable to mitigation credit buyers and state & federal agencies, improving project compliance from both a cost and regulatory perspective. 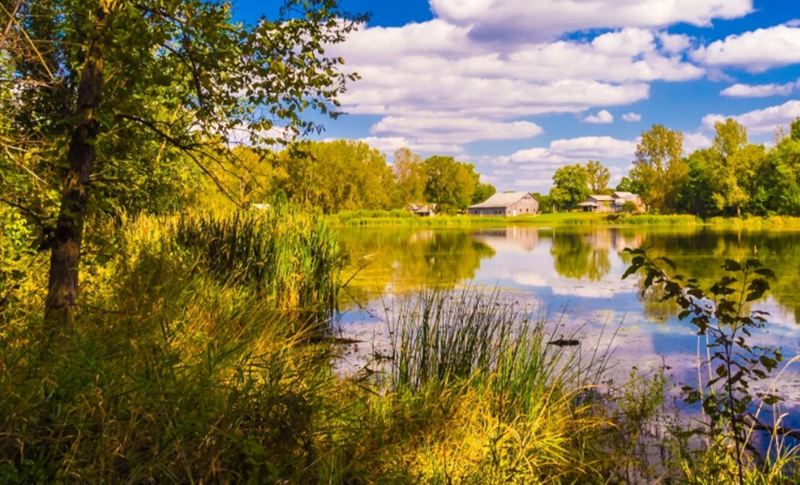 For business and industry, the MCAR helps users understand the distribution, type and volume of available wetland, stream and conservation credits needed to comply with state or federal environmental regulations. The MCAR also gives geographic references to help identify nearby banks with similar credits and overlapping service areas. Users also have access to mitigation bank Points of Contact allowing for quick inquiries about mitigation credit purchase options. For permittees and regulators, the MCAR can guide decisions about cost-effective mitigation compliance. Permittees may benefit from knowing that credits are (or are not) available for purchase. Permittee Responsible Mitigation (PRM) options may be compared against third-party credits already available in the same compliance area. For new mitigation bank proposals, regulators may benefit from knowing the type and distribution of credits currently approved for release in norder to optimize biodiversity resource protection in the area where a new bank is being proposed. For investors and developers the MCAR sheds light on current mitigation bank coverage. This can help identify open market niches where new mitigation banking projects might be especially rewarding. Original RIBITS data can be difficult to sort out. This can affect business decision-making and impact project costs and compliance schedules. The MCAR presents mitigation credit approvals, withdrawals and current availability in a business-logical way. Viewers can also develop insight in mitigation bank sales performance thereby lowering transaction costs. add EASI MCPR price references to boost overall understanding of current mitigation credit market conditions and trends. Our proprietary Mitigation Credit Price Report (MCPR) offers sample price references for compensatory mitigation credits from the 1990s to present. Below is a 2016 example for the Grassland Mitigation Bank. 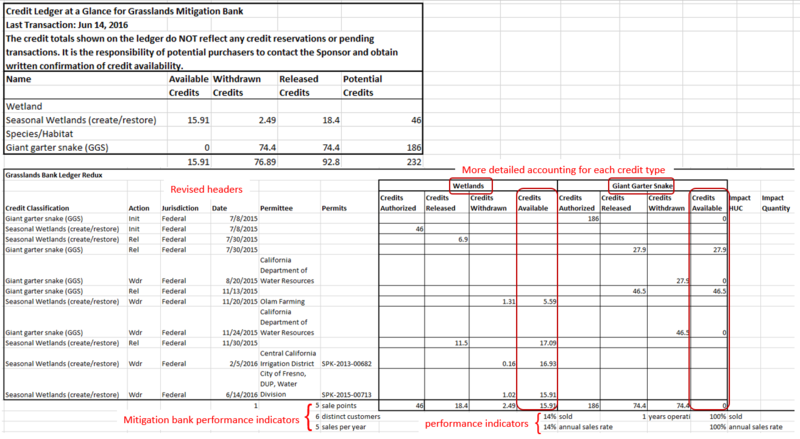 Below are two examples of how national mitigation credit data can be analyzed and presented. 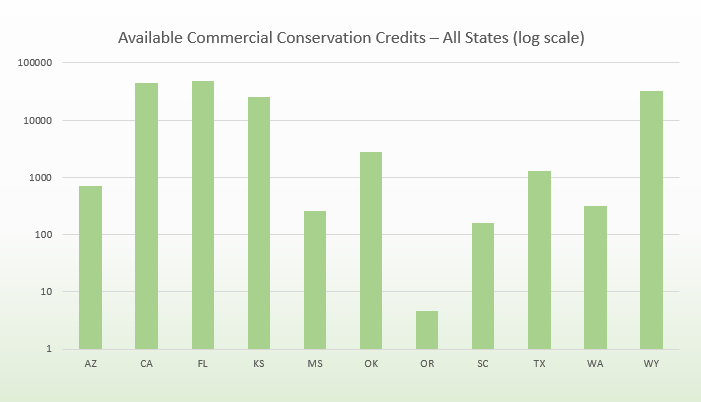 This log-scale representation of conservation credit volume shows Florida outpacing California in terms of conservation credits available for sale. Surprisingly, Kansas and Wyoming are not far behind. 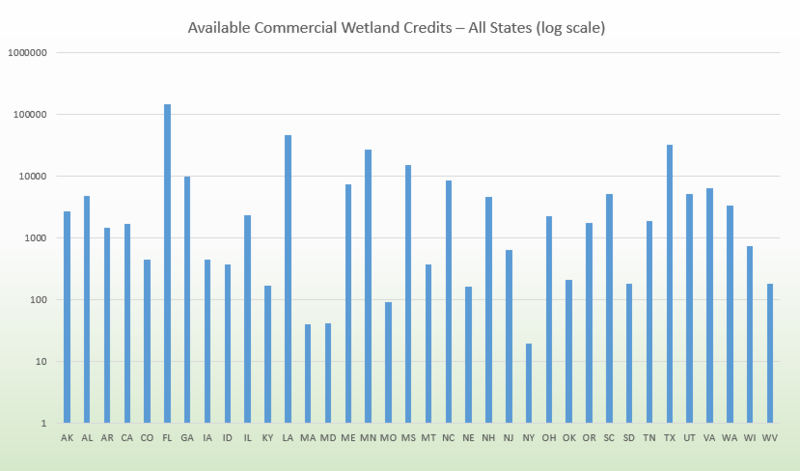 This log-scale representation of U.S. wetland credits shows Florida, Louisiana, Minnesota and Texas leading the nation in terms of compensatory mitigation banking activity. Mississippi is not far behind. Contact EASI to learn about MCAR ordering options and prices.